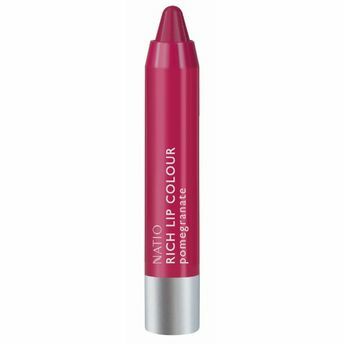 A high intensity, opaque retractable lip colour crayon that combines nourishing botanicals and with juicy colour for maximum impact. In four high pigment shades. Part of the Blushing Blooms limited edition promotion. Discover the perfect rich lip colour for every skin tone with a sleek velvet finish that won't fade away. Enriched with Shea Butter and Jojoba Oil, the creamy Rich Lip Colour crayons lock in moisture and won't dry lips.